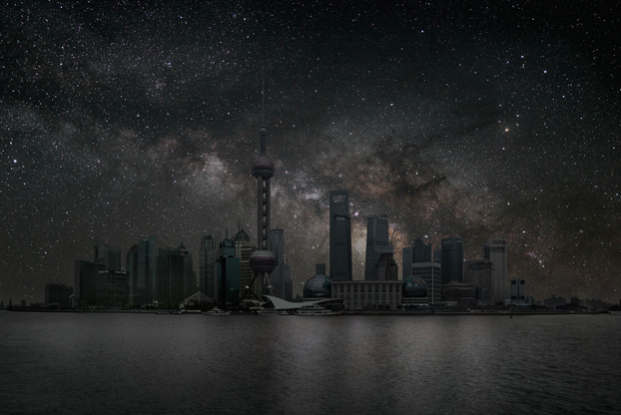 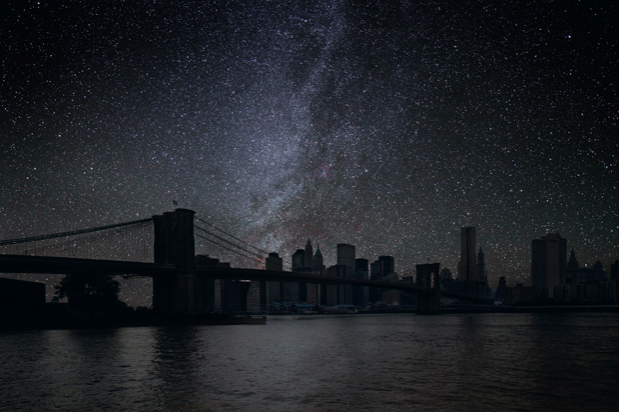 Thierry Cohen's Darkened Cities photography project explores the problem of light pollution by photographing cityscapes before a beautiful background of starry night sky. 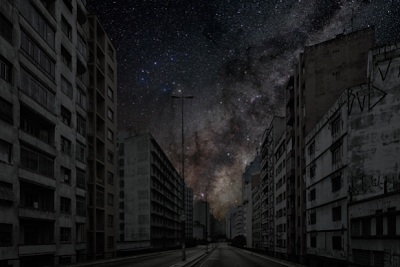 The photographs offer a surreal and haunting look at what pollution and constant artificial lighting has done to our perception of the night sky, by juxtaposing man-made Earth with the vast space beyond us, which can only be photographed in places free from light pollution. 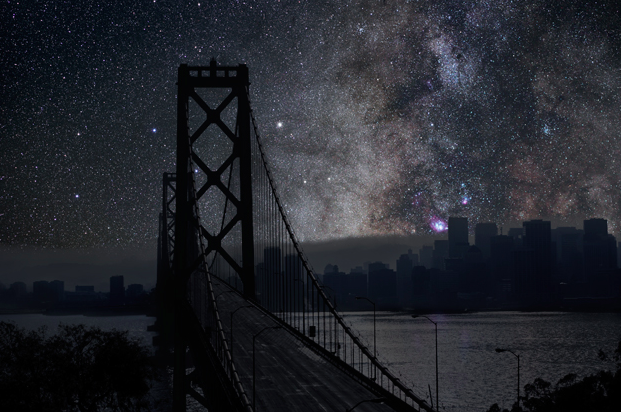 These are the skies we don't see. 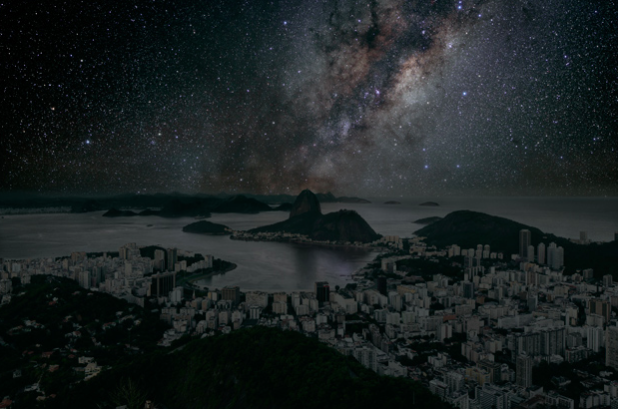 That is some scary but beautiful pollution.